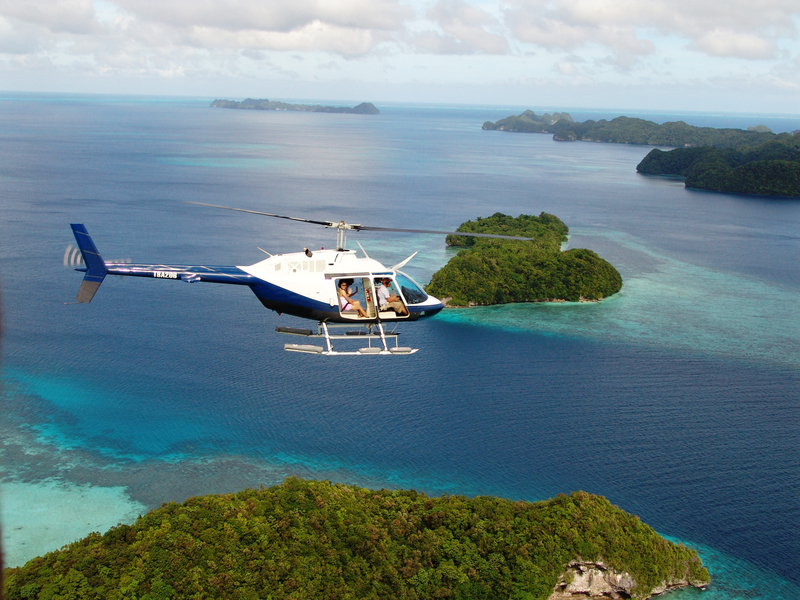 Palau is home to another new helicopter tour operator, Rock Island Helicopters, which operates a Bell 206 jet Ranger helicopter out of Malakal. Palau veteran pilot Matt Harris is at the helm. Rock Island Helicopters offers 20, 40, and 60 minute scenic flights, as well as special charters for photography and wildlife surveys. There is no extra charge for doors-off photography charters. For more information, email rockislandhelicopters@yahoo.com or visitwww.rockislandhelicopters.com.